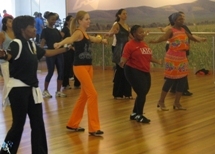 Dancing is great way to get healthy exercise and have fun while getting fit. Join the group and learn some fun Latin Line Dances or lose the eat-for-two rolls, and join our Fitness with Baby classes (coming soon). Tiny Tots group classes are great to teach the little ones balance and dancing discipline from an early age. 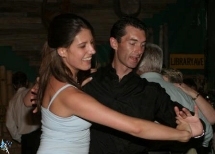 If you are 4 or more friends who would like to learn some line dances and dance steps, you can create a group to dance at a time suitable for you. Contact us with any queries and to book your first lesson. Again, if you get four or more children together we can discuss a personal package and confirm a time suitable for all. Fitness with Baby is aimed at post natal mommies who would like to get out, interact with other new mommies and get some healthy fun exercise. These classes will be low impact, according to your ability and the workouts are structured in such a way that you can interact with your baby while working on your fitness levels as well as toning up your body after pregnancy. Contact us to find out more and get a quotation.